John McLaughlin of Ohio, visiting his parents in Holmes Beach, hooked up several tarpon, bringing two fish to the boat and capturing a trophy photo. McLaughlin was guided by Capt. Warren Girle. They fished Egmont using thread fins for bait and each tarpon weighed about 100 pounds. 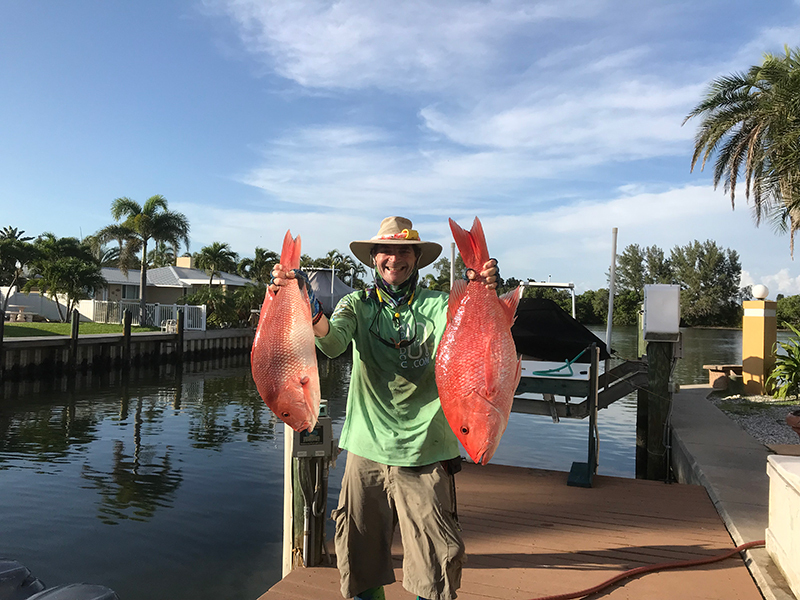 Roger Danziger brings home two American red snapper, one weighing in at 24 pounds, June 11, the first day of snapper season. The snapper were caught in 160 feet of water, 40 miles off of Anna Maria Island while fishing with wife Debbie Danziger and friends Bruce Lipskind and Rod Wagner. 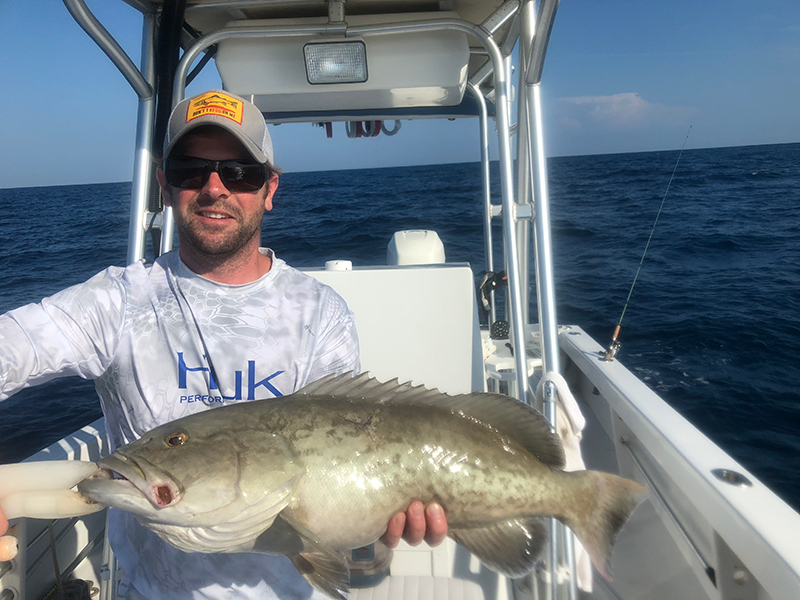 New island resident Patrick McGinnis shows off a keeper gag grouper he hooked up on June 19 on a charter fishing trip with Capt. David White of Anna Maria Charters. The gag took a live shiner in 40 feet of water off of Anna Maria Island. Since the tarpon bite is calming down in Tampa Bay, fishers around Anna Maria Island are setting their sights on other species. Catch-and-release snook are making a great showing around the passes and beaches. Spotted seatrout are in abundance throughout the grass flats in our local bays and along the Intracoastal Waterway. Sharks are in the mix, being found just about anywhere. Most sightings and catches are blacktips — no minimum size — and bull sharks — legal minimum 54-inch fork length — are ranging 4-8 feet in size. Large hammerheads also are present, with some topping out at 15 feet in length. On the reefs, Spanish mackerel are starting to show up as well as some mangrove snapper. With this much going on, it’s time to hit the water. Whether from shore or in a boat, a day on the water is good, and fishing is great. On my Southernaire charters, I’m seeing clients reel in numerous spotted seatrout. To find these fish, I’m working deep grass flats of 8-10 feet during swift moving tides. Many small trout — 12-14 inches — are present in these areas and, with a little persistence, I’m putting limits of upper-slot fish in the clients’ cooler. For sport fishers, catch-and-release snook fishing is nothing short of exceptional. Fishing early morning tides for these linesiders is proving to be best. Later in the day as the water on the flats heats up, the bite is declining. So get out early. Most catches are 20-26 inches, with bigger fighters in the mix. 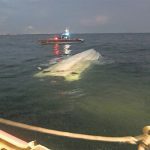 Spanish mackerel and snapper are showing on the nearshore reefs, although the bite is not wide-open. As we start seeing an abundance of “hatch bait,” I foresee this bite improving tremendously. Capt. Rick Gross of Fishy Business Charters is targeting catch-and-release snook in the backcountry. According to Gross, the snook action is the best he has seen in years. Many snook 22-26 inches are hooking up, with an occasional fish over 36 inches being reeled to the boat. Also, while in the backcountry, Gross is putting anglers on limits of spotted seatrout. Numerous slot-size trout are being caught over deep grass flats. Mixed in with the trout are bluefish and macks, which adds variety to the bite. Capt. Jason Stock is targeting permit over reefs and wrecks in the Gulf of Mexico. Casting live crabs to schooling permit is yielding fish up to 40 pounds. While offshore, Stock is putting clients on American red snapper and goliath grouper. 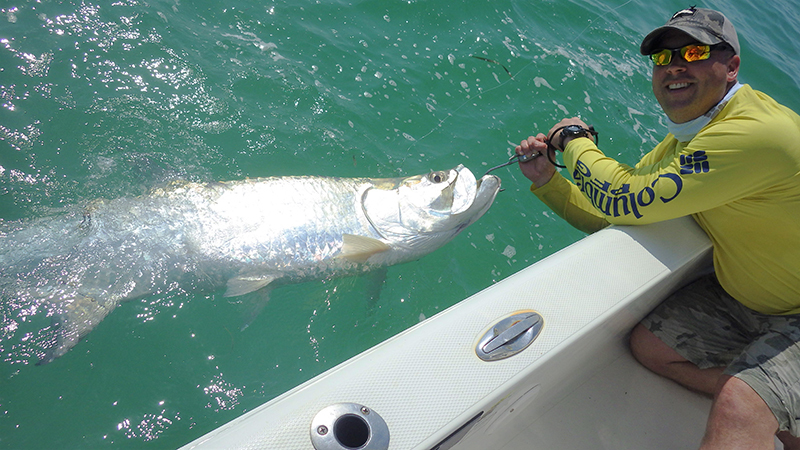 Moving in closer, tarpon are being caught along the beaches of Anna Maria Island and Egmont Key. While hooked up on tarpon, numerous sharks are being attracted to the commotion. Hammerhead sharks up to 15 feet and bull sharks in the 8-10 feet range are common. Bull sharks must have a 54-inch minimum fork length and bag limits apply. Hammerheads are prohibited from harvest in state waters. You can check out Stock’s recent encounter with a hammerhead on Facebook. Capt. Aaron Lowman is patrolling the nearshore reefs and ledges for macks and mangrove snapper. With the aid of frozen chum blocks and large quantities of live chum, Lowman is managing to get the snapper and mackerel whipped into a frenzy. While this bite is occurring, Lowman’s clients are seeing an occasional cobia or gag grouper rise up from the bottom for a snack. 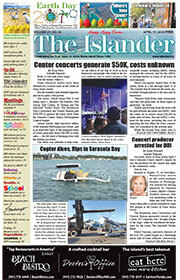 Tarpon fishing is an option for anglers on Lowman’s skiff. Although he’s seeing the bite thin out, Lowman says his clients are jumping their share of fish. Around the tarpon are numerous sharks and Lowman is willing to bait them to the hook. Capt. Warren Girle is on “tarpon watch.” Cruising the beaches from Egmont to Longboat Key is resulting in numerous hookups for Girle. Most bites are occurring on dead bait, such as threadfin herring although the trusty pass crab is a good standby, according to Girle. 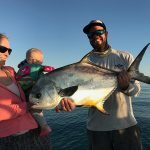 Fishing offshore also is producing action for Girle’s clients. Mangrove snapper and Spanish mackerel are the most abundant, followed by large jack crevalle. Juvenile gag and red grouper are mixed into the offshore bite. Capt. David White of Anna Maria Charters is working with his clients on nearshore structure for mangrove snapper and gag grouper. Heavy chumming with live shiners is getting the fish to fire off which, in turn, makes them easier to target. Spanish mackerel also are in on this bite, which adds variety to the catch. Don’t be surprised to see an occasional kingfish on a charter with White. Moving on to bigger fish, White is targeting tarpon along the beaches of Anna Maria Island. Fishing the beaches and passes with crabs and herring is attracting a bite for his anglers. Jim Malfese at the Rod & Reel Pier is seeing numerous Spanish mackerel being caught around sunrise. Gotcha plugs and silver spoons are working well to catch these high-speed fish. Mixed in with the mack bite at the pier are jacks, blue runners and ladyfish. Using live bait — shrimp or shiners — is resulting in redfish and catch-and-release snook as well as some mangrove snapper. For those working shrimp on the hook, pompano are the reward at the pier.